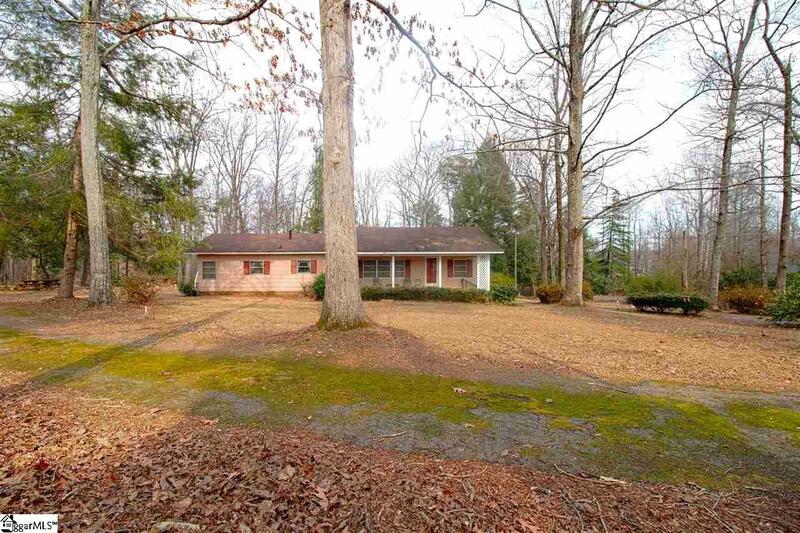 2.37 Acres in private setting minutes to Travelers Rest, Greenville, Paris Mountain State Park. This Ranch is a Mobile Home with large room additions, looks just like a house! 2 bedrooms 2 bathrooms. 2 large rooms off the back and huge deck. Rental or development opportunity. Acreage has multiple different landscape options. Sold As-Is.